Crude oil markets are suffering from too much supply and not enough demand, a combined effect that has pushed oil down into the low $30s per barrel. However, the U.S. dollar deserves much of the blame for the crash of oil prices to 12-year lows. 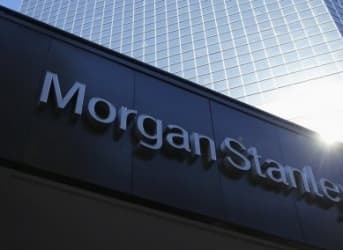 That is the conclusion from investment bank Morgan Stanley, which published a research note on January 11 that attributes the sharp slump in crude prices to the strength of America’s currency. Morgan Stanley says that if the U.S. dollar appreciates a mere 5 percent, it could force crude oil prices down by another 10 to 25 percent. Oil is priced in dollars, so a stronger dollar makes oil relatively more expensive for all consumers using currencies other than the dollar. Morgan Stanley says that while the oil glut is responsible for oil prices falling from triple digits down below $60 per barrel, the fall from $55 to around $35 largely comes from the strong performance of the U.S. dollar over the past year. Related: Potentially Worth Trillions, But Is Aramco A ‘Good Deal’ For Investors? Most analysts closely watch OPEC, U.S. production and storage figures from the EIA, and GDP numbers – all with good reason – but the impact from currency movements largely flies beneath the radar, at least in the mainstream press. Morgan Stanley is one of the first to put such a large degree of emphasis on the U.S. dollar. However, some of the currency movements over the course of 2015 are reinforced by commodity price swings. As commodity-exporting countries were hit hard since mid-2014, their currencies have deteriorated. That has raised fears among financial markets and contributed to a flight to safety, which in this case was the U.S. dollar. In other words, the bust in commodities made dollar safety more attractive. At the same time, the U.S. Federal Reserve recently raised interest rates, which is helping to push up the dollar. Whatever the causes, Morgan Stanley believes that the strong dollar could cause oil prices to dip below $30 per barrel in the near future.